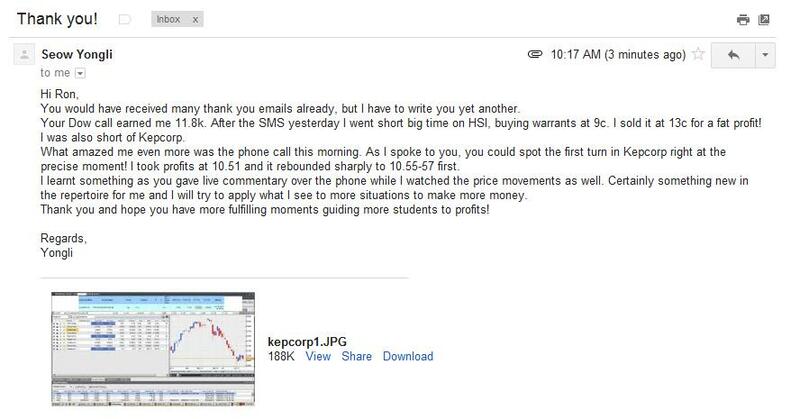 A senior student of mine shorted the HSI and Kepcorp and made $11800 SGD in a single day. Do we need swing trades to replicate this performance? Or do you want to do it within 1-2 days? The rest is exemplary. I had been calling tops and bottoms many times in my career and the recent bottom was just classic. The same goes for the top I called yesterday when I advocate no longing of stocks. 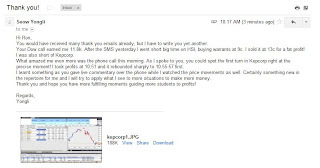 I am stultified by my own personal performance and I am planning something to engage all my students to trade with me. For this, it requires sometime and effort to plan out. 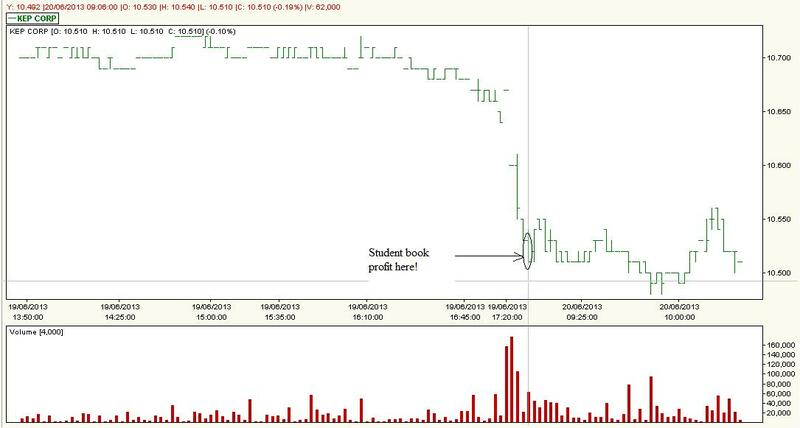 If you do like to trade with me, kindly send me an email at stockmarketmindgames@gmail.com. As my students point out, to see my trade live is a privilege because you will see the difference between me and all other traders/educators who used traditional indicators where I use just a blank chart without a single line drawn. I can also trade without charts as what happened earlier when my student called me to spot the first turn in Kepcorp at 10.51. For that, you would need an extra different skill set. Today in the preview, I shall start scouting a few people to trade LIVE with me, and only a handful will be selected. Students will have priority of course. See you guys there later!! What a good day to start with! 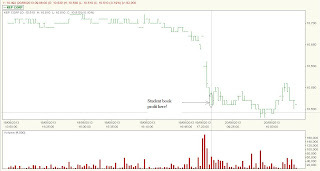 Midas - Good News = Breakdown? STI - HSI - Correlations?